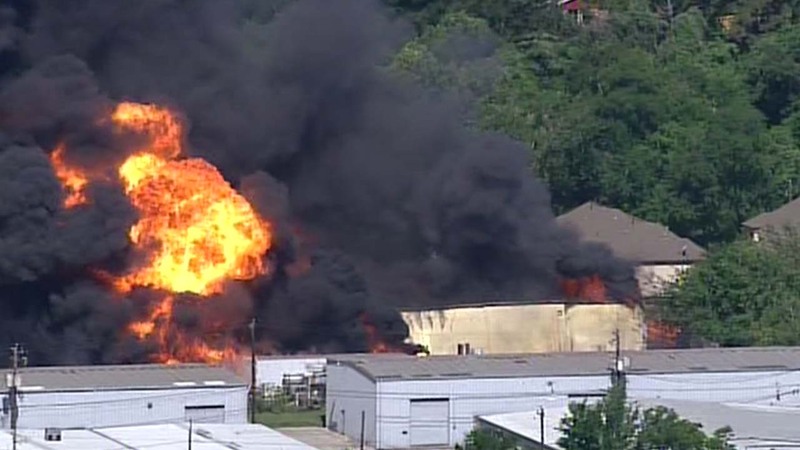 HOUSTON -- A fire at a warehouse complex in Houston has sent towering plumes of black smoke into the air. Emergency personnel were dispatched to an industrial area in the western part of the city on Thursday morning, as the fire burned several structures. Officials had no immediate reports of anyone hurt. The cause of the blaze is under investigation. The fire broke out on a clear day with temperatures in the 70s and gusts of about 10 mph. 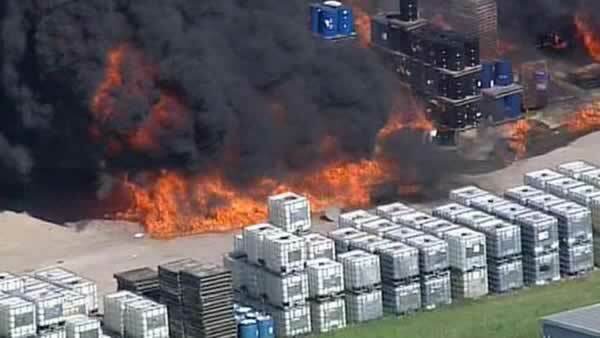 A massive fire is burning at an industrial complex in Spring Branch.